Mark is a Class “A” member of the PGA with a vast experience in public golf course management. He is a native of Cape Cod and worked at Captains from 1989-1996 as Assistant Pro/Manager before accepting the Operations Manager’s position in North Kingstown, RI. Mark came back on board at Captains in September 1999. 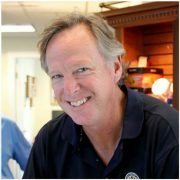 In 2010, Mark was awarded the Gary Philbrick Golf Professional of the Year by the Cape Cod Chapter of the New England PGA recognizing his contributions to golf in this region. Pete took over as superintendent in February 2014. Prior to that, he was the First Assistant at Winchester Country Club in Winchester, MA since 2005. Pete began his career as the second assistant at Pine Brook Country Club in Weston, MA. He is a graduate of UMass Amherst and is a Harwich native. Pete and his wife Cheri, also a Harwich native, are very excited about being back home on the Cape. Jay is a Class “A” member of the PGA and is also a native of Cape Cod. After his graduation in 2000 from the Golf Management Program at Methodist College, Jay joined the Captains team. Jay was recognized in 2008 as the Junior Golf Leader of the Year by the Cape Cod Chapter of the New England PGA and he has a loyal following of golf students of all ages. Steve is also a Class “A” member of the PGA and a native Cape Codder as well. He has been employed at the Captains since 1998 and he has been in the golf business since 1985. He is an accomplished golf instructor, teaching students of all abilities and ages. In addition, Steve is a leader in golf instruction for individuals with physical limitations working in cooperation with the Spaulding Rehab.